A valid payment method is required to keep an account active after your free trial expires. We accept all major credit cards and PayPal. 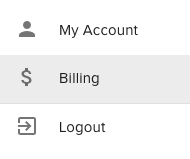 To add or change your payment method open the account drop down menu by clicking your name located in the upper righthand corner of every page. 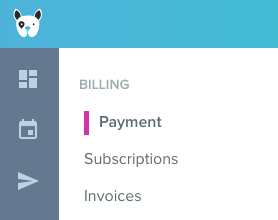 Click the "Add Payment Method" button in the upper right hand corner. Enter your payment information in the pop up and click "Save Payment Method." Click the "Update" button in the upper right hand corner. Click the link to "change payment method." 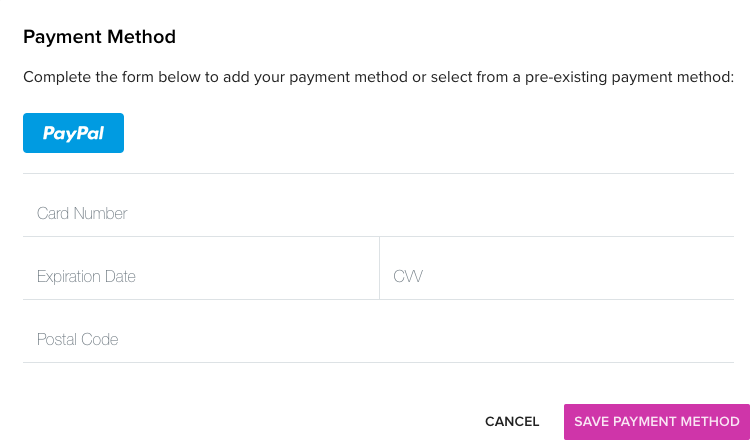 Enter your new payment information in the pop up and click "Save Payment Method." Yes. Scout does not store your credit card information on our servers. Just like your customers who pay with electronic payments, your payment information is also stored by Braintree Payments. They are PCI-compliant, meaning your information is secure. Visit Braintree Payments for more information about their data security standards.